Considering our new curved oak truss is effectively a piece of furniture we are going to be looking at for the rest of our lives, it was important to us that we selected the right company to help us. Altham Oak were not the cheapest I could find but Gareth and his team’s helpful and supportive approach meant I was willing to pay that little bit extra for the peace of mind that we had someone who was as passionate about getting this right as we were and wouldn’t let us down. 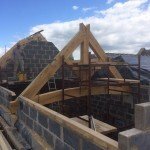 The truss was delivered on time, on budget and I was kept informed at each stage despite me being a nightmare to get hold of myself at times, Gareth was always patient and went with the flow to ensure all the I’s were dotted and T’s crossed with various late night emails and calls too. 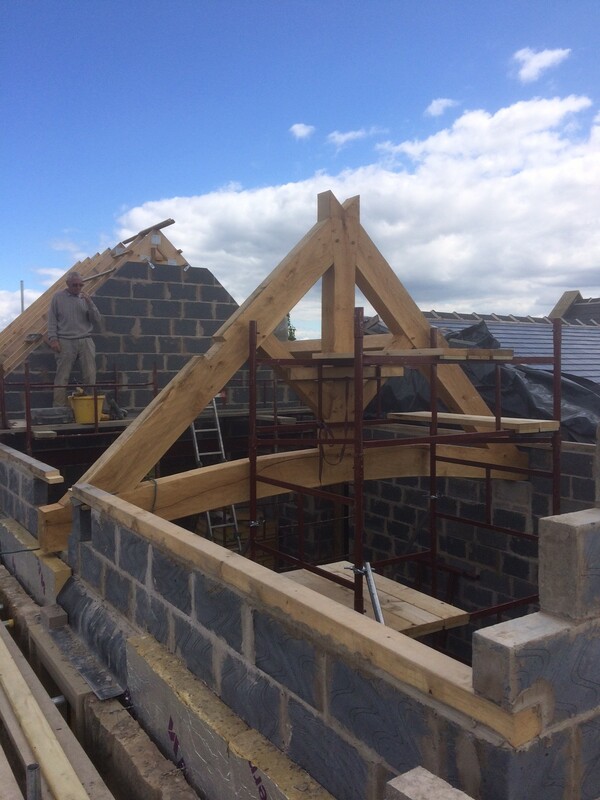 There were no excuses, no surprises and no drama’s when it came to fitting either even though one gable was not quite where we wanted it due to some high winds the weekend before ! My wife hadn’t really been involved in the process until the day of delivery and says she is never really good at visualising things in advance, coupled with the fact that stone and wood are not something that she can easily get excited by she was in fact blown away how nice it looks and gave it a true Ace Ventura Beaaaautiful seal of approval !